I want to be able to accurately add a section to a binary by hand, without tools. I am using Stud_Pe for adding a section to a binary. While this work, I feel it's important to be able to do this myself or at least understand it in it's entirety. Something I noticed is that the when I do a bindiff on the newly added section There is always extra bytes added to this. Why is this? I thought there might be a pattern but it seems random and the sizes have to be exact , so I am curious if someone already knows. 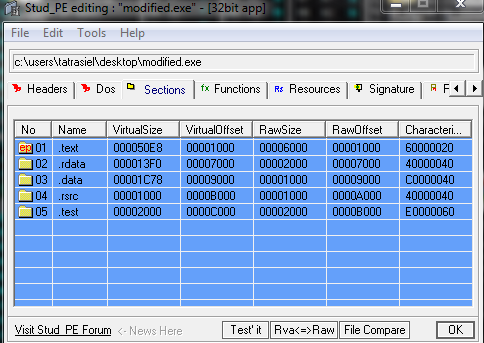 Here is a difference list based on the bytes added. Why is this happening? Not the answer you're looking for? Browse other questions tagged windows pe binary section . 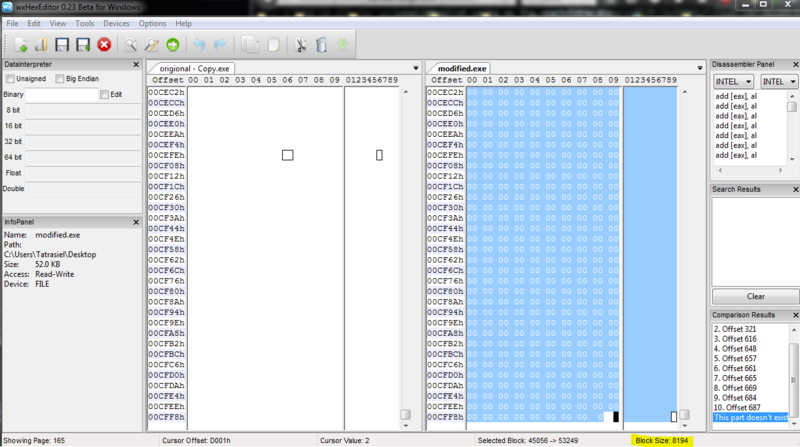 Why is it “safe” to write to ModuleBase.exe+0x100, and possibly other header offsets after PE is mapped to memory? Is there a tool to reconstruct .reloc section?